range with a constant F4 maximum aperture. 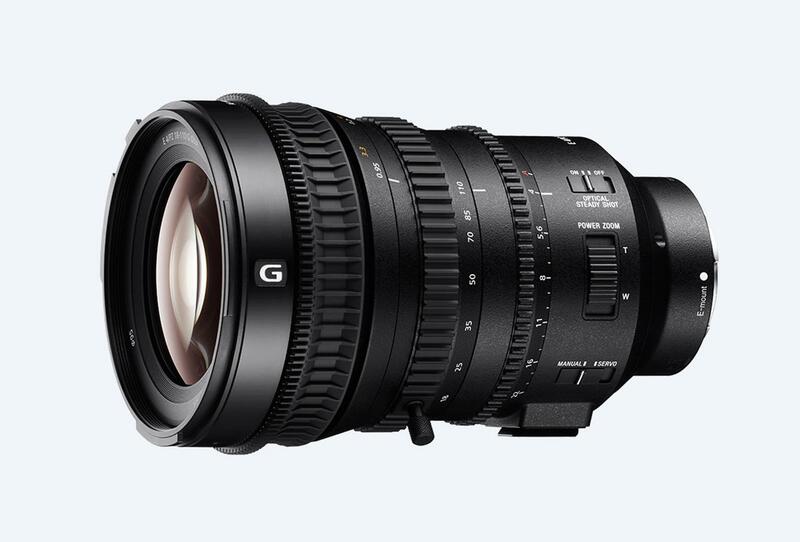 G Lens optical performance delivers image quality that is suitable for 4K throughout the zoom range, right out to the image periphery. 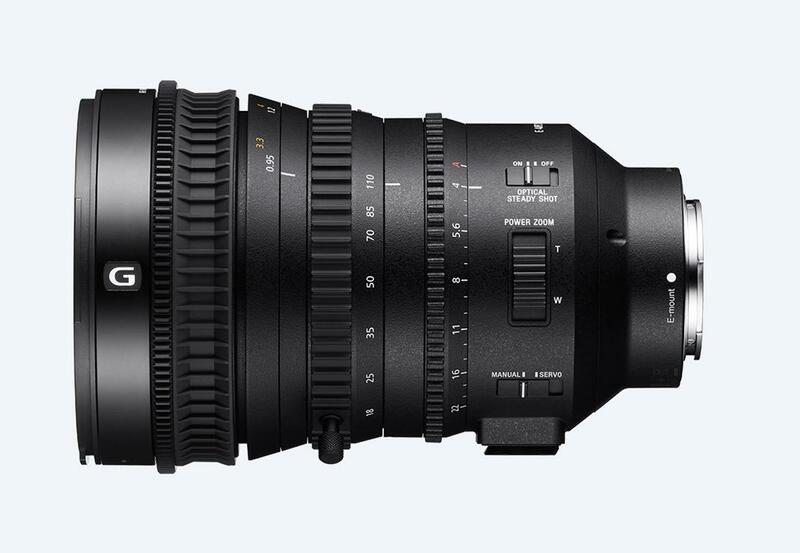 Sony's original SMO (Smooth Motion Optics) design and construction minimizes optical shifts that can have a negative impact on movie quality. Focus breathing is minimized by an internal focus mechanism, focus shift is eliminated by precise focus tracking adjustment and axial shift is minimized by a constant-length design. 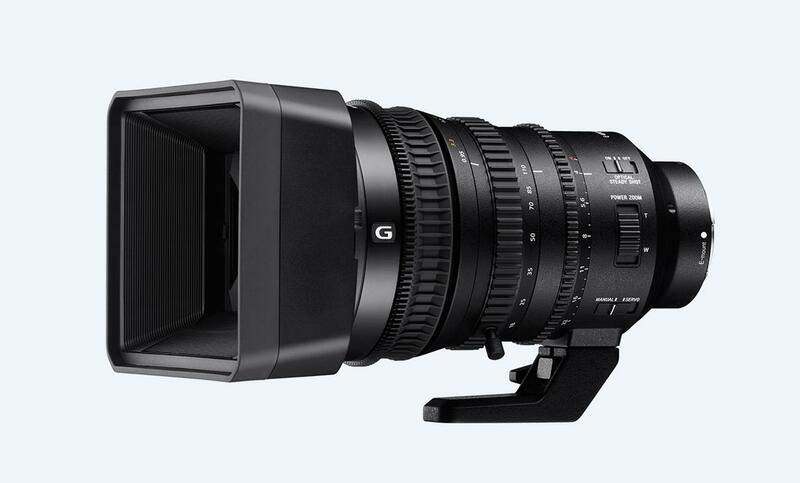 In addition to smooth powered zoom, mechanical manual zoom ensures control with no lag. The desired angle of view can be accurately reached without overshoot or undershoot. Zoom ring direction can be easily switched as required, smooth, slow powered zoom is supported and an inner zoom mechanism means that the length of the lens remains constant. A sealed dust and moisture-resistant design provides extra protection and ensures reliable operation in challenging environments. Shoot with confidence in light rain or windy conditions.